In January, Rodellee Bas Closed Her Vintage Clothing Shop. She’s Never Been Happier. If you Google “romantic vintage dresses,” her shop is among the first links to pop up. 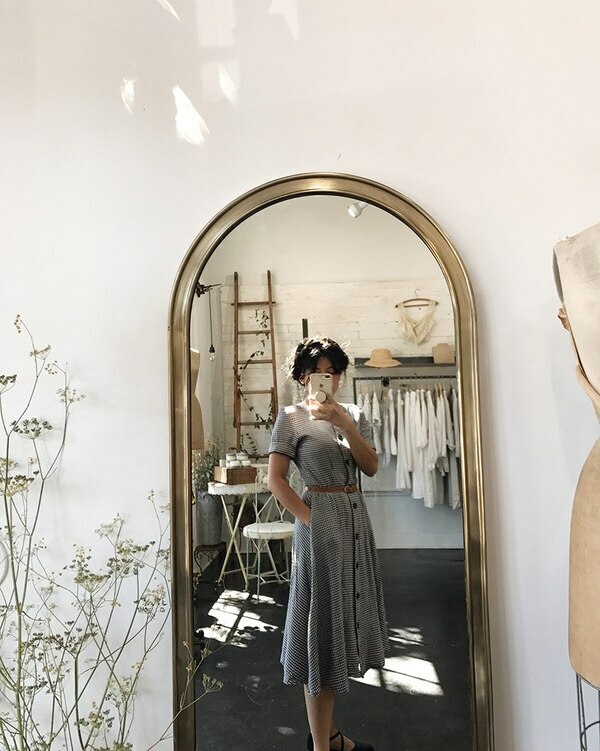 If you ever spot a woman in a white-lace vintage dress and wide-brimmed hat sipping a latte at a breakfast spot, or maybe having a picnic and reading a novel by the river, it might be Rodellee Bas, owner of Adored Vintage. Or perhaps you're looking at one of her 72,000 Instagram followers who wear or aspire to wear her romantic dresses. You have a good shot of seeing Bas out and about around Portland at any given time. That's because, since January, her time has freed up immensely. After three years on Southeast Clinton Street, Bas closed her brick-and-mortar shop and moved back into her original studio in St. Johns. But don't cry for Bas. To hear her tell it, closing Adored Vintage's physical location was the best decision she could have made. "Once the shop was closed…the brick-and-mortar, I felt this immense relief," she wrote on her blog. "Like a huge weight had been lifted off my shoulders. Suddenly I felt like I had so much time on my hands. I could do things outside of work again. I could have weekends again." The truth is that Bas didn't need the store. Her business is doing well enough online that struggling to keep the store open simply became an unnecessary burden. The rising rent for commercial retail space has made times tough for small-box shopkeepers. "One of the commercial brokers I worked with told me that some landlords, particularly in the Pearl and downtown Portland, won't even rent to mom-and-pops anymore once certain leases are up," she says. Growing up on her grandfather's farm on a Filipino mountainside, Bas immigrated to New York in 1992. After dropping out of Texas A&M University and making a short move to Budapest, she moved back to Texas before winding up in Los Angeles in 2010, where she began working full-time as an e-commerce department manager at a fashion production company. She started Adored Vintage in her 200-square-foot studio apartment, with just four racks of clothing. Within a year, Bas was working for herself full time. Business picked up quickly, and after success—and some burnout—in LA, she moved to Portland in 2014, and opened her brick-and-mortar on Clinton. Discussing the reasons for closing the shop, Bas mentions the overhead, combined with a lack of in-store sales. As she wrote on her blog around the time of the closure: "I would work a full shift at the shop (11 am-4 pm) and make $150. If I spent those precious five hours working on my online store, I might have made $1,500 in the same amount of time. The thing is, I was paying retail square footage prices. I was also paying for security and utilities. And if I count paying myself, running a brick-and-mortar cost me money every damn day!" All the while, though, Bas had been building her online presence. She'd been working hard learning search-engine optimization, and nurturing her Adored Vintage customers on Facebook and especially Instagram. Now, if you Google "romantic vintage dresses," her shop is among the first links to pop up. While many shop owners experiment with selling from Instagram, Bas does more than simply try to sell her products. 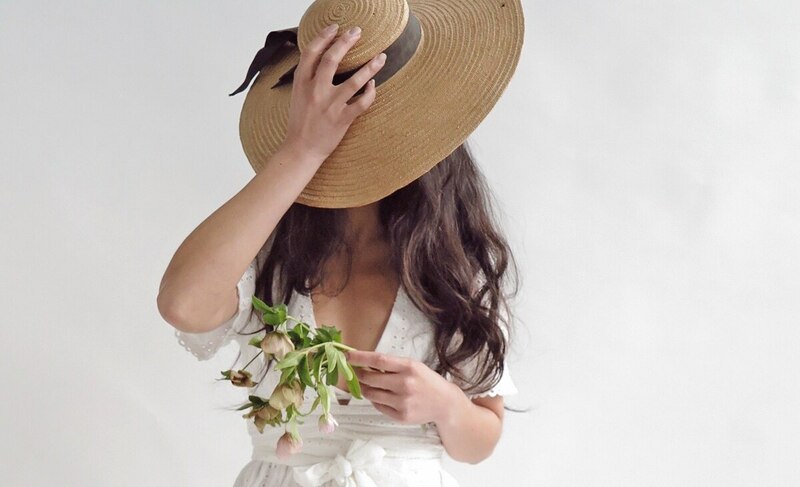 She inspires her vintage-loving followers with whimsical videos of dresses dangling from clotheslines, close-ups of pale textures, photos of her wearing dresses and holding bouquets. She feeds them with a story that makes up her own brand, but also reflects the life they aspire to. When I ask if retail is dying, Bas is hopeful. "I really hope retail doesn't die," she says. "I love being able to browse through a store, get to know the shopkeepers and support local mom-and-pops. I think it's what makes Portland so unique, there are so many independently owned stores." SHOP: Find Adored Vintage online at adoredvintage.com and on Instagram @adoredvintage.